After three and a half years of marriage, it was an adjustment coming home to an empty apartment or watching a movie on my own. No matter how hard I tried I still cooked way too much pasta and slept on “my” side of the bed even though I knew he wasn’t coming back. Deep down I was grieving and I allowed myself the time to heal. I cried alone. I laughed alone. Throughout the whole grieving process I reconnected with the person I had lost during my tumultuous marriage. It wasn’t a matter of just being alone but also of discovering and understanding who I was as a young black Muslim woman. Being raised by a free spirited African-American mother who converted to Islam in the 80’s and a stepfather who was a Kurdish refugee influenced how I viewed the world and my life. I grew up in a conservative Muslim community yet stayed with my Baptist grandmother every weekend. My upbringing was far from any other “typical” Muslim family. I needed the time post-divorce to reflect, as my outlook on life had changed. Often, even the mere thought of loneliness influences us to stay in unhealthy relationships. Other times, people get divorced but don’t allow themselves to heal emotionally. That baggage is then carried into new relationships. Sadly, this leads to a vicious cycle of heartbreak and disappointment. Thankfully, I understood that I need to be comfortable by myself before embarking on another relationship. I refused to allow fear to fuel my actions. It was important for me to go to the movies alone, take an afternoon stroll, or cook a great meal even if it meant that I was stuck with leftovers for a few days. This was part of my process and the experience allowed me to enjoy the simplicity of solitude. It’s been three years, but I now feel complete and ready to start the process of searching for a spouse. Although I am content by myself, I understand the benefit of allowing someone to share my intimate space. I love to share my experiences of searching for a Muslim husband. I strongly believe that there needs to be a platform to discuss these issues openly and without judgment or ridicule. I like to give pointers and tips on what I am learning throughout this entire process for those who find themselves in a similar situation. It’s perfectly normal to admit you’re looking for love and I am here to break the ice. I look forward to giving you a little of myself in exchange for an open mind and a receiving heart. Ihssan Tahir is a twenty something self-proclaimed “SistaQueen” living in Chicago. Raised by an African American mother and a Kurdish stepfather she has a broad perspective of the world. Ihssan has globe trotted from Switzerland to Bangladesh. Her most recent trip involved reuniting with long lost family for the first time in Northern Sudan. In her spare time she enjoys writing and practicing the violin. By profession, Ihssan is a registered nurse and specializes in emergency and trauma medicine. She has a deep passion for health care justice and works with several non-profit organizations that deal with health care reform and accessibility. 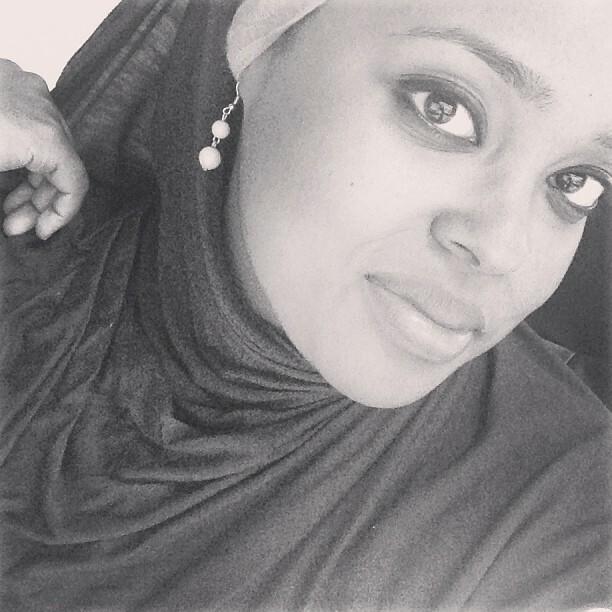 You can follow her candid blog about her husband hunting endeavors and relationship tid bits at http://muslimnlove.com/. Beautiful. I am also on this journey, but I feel sure that it will be a shorter period of loneliness or at least aloneness – not because I am made of sterner stuff, but because my own loss was different if no less hurtful. I lost my wife to cancer and watched her suffer and die over the course of years – in many ways I am thankful, since the years of caregiving gave me the chance to say goodbye and gave me the chance to learn who I am – much as Ihssan did after the divorce. Now I am dealing with being alone with my son and having to make important decisions without a companion – my grief comes from this area. But I think my transition will be shorter – not necessarily in looking for a new spouse, but just in becoming comfortable with myself and my situation. Thank you for posting this. Welcome aboard! And I love this blog. What a refreshing perspective! mumtaz!! You are completely right. I too am divorced with two girls. I am coming up on being single for 2 years and i like to include the year in marital turmoil. Getting ‘over it’ is hard, BUT a lesson learned. I have found ME in there somewhere. My adventurous size. I now do yoga, rock climb, zumba and I believe I am a better mother, sister, servant for it. I also know I am ready to move on with my life, and that includes finding someone to spend my life with. I am excited for you!! Lets crossover, ‘atraversiamo’, together.